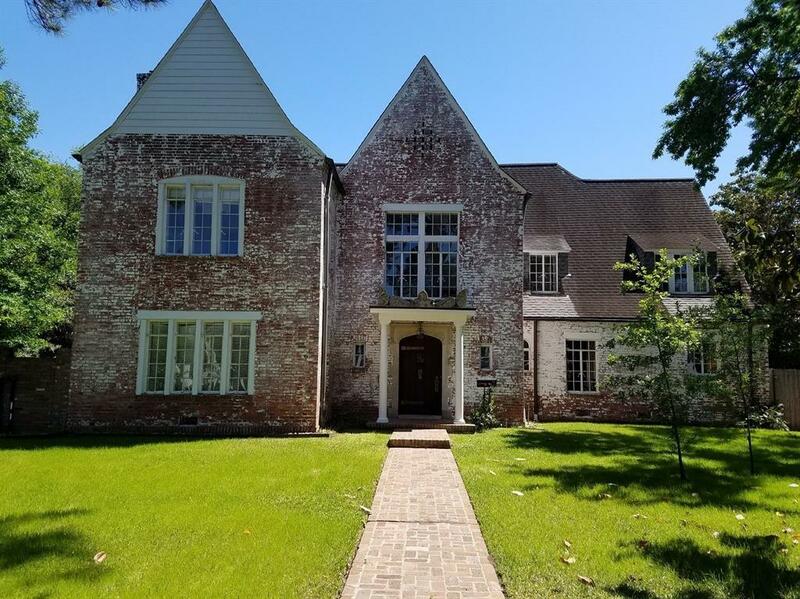 Stately manor on prestigious River Oaks street East of Kirby Drive. 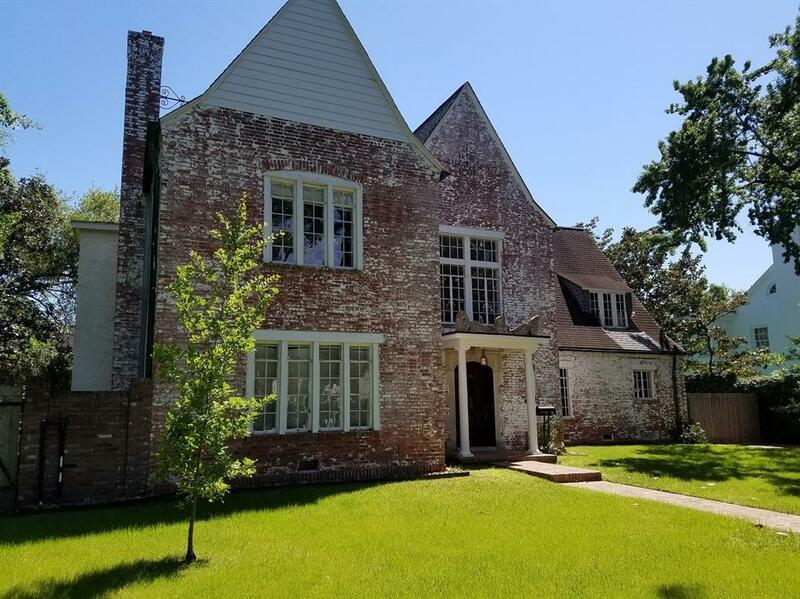 Solidly built in 1927 has excellent bones. Add your personal touch for a grand showplace. Currently priced at almost lot value. 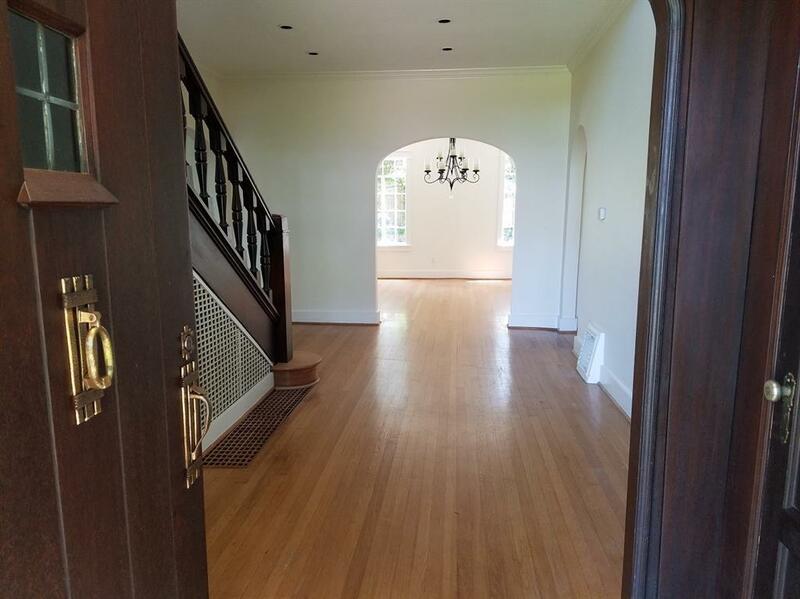 Amazing original wood door greets you and opens to entry and grand stairway with landing. 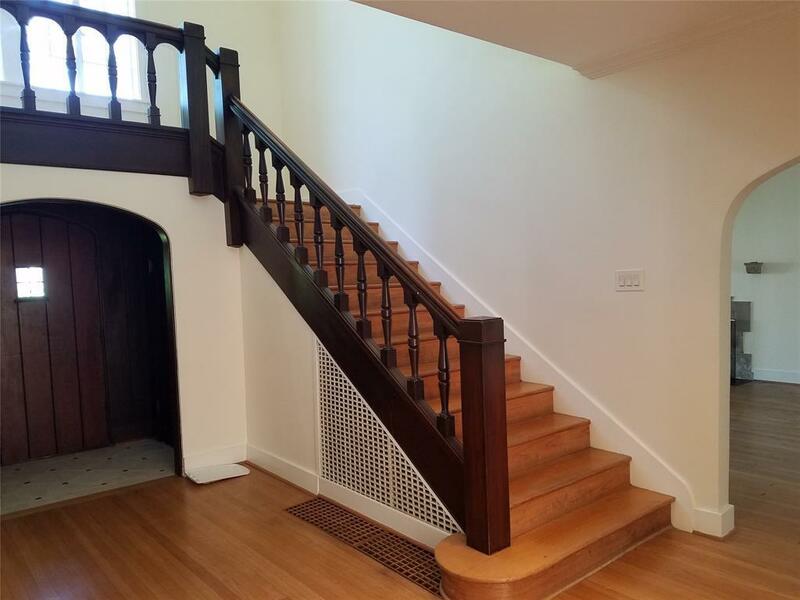 Original woodwork throughout shows pride of workmanship. Classic arched doorways. Island kitchen was remodeled with granite countertops and solid wood cabinets opening to breakfast room. Distinctive original slate floors and arched windows in sunroom overlook pool. Huge living room. Built in drawers in Master bedroom with California closet. Separate Quarters above detached garage. Sunroom view of pool. Third floor media room and separate large 31X11 storage room could be finished out for office or playroom. Cedar closet 10X5. Elevator up to 2nd floor.